The NSW Government has been inundated with objections to the Development Application (DA) for the Sydney Modern expansion plan at the Art Gallery of NSW, forcing it to initiate a review of the grandiose $344 million proposal. Submissions from the public stand at a staggering 178 objections with only 63 statements in support. That’s almost 3 to 1, and is far more than the 25 objections required for a State Significant Development to be reviewed by the Planning and Assessment Commission, a statutory body defined in law as being “independent of the NSW Government, the Minister for Planning and the Department of Planning and Environment”. The submissions, which closed in December, have now been published on the Department of Planning website in three categories: online feedback from the public; online submissions from government, agencies and organisations; and a small number of hard copy submissions. Many concerned people, among them distinguished citizens and longstanding supporters of the AGNSW, have added their voices to those of the leading professionals whose thoroughly researched objections were reported in my recent blogs. The objectors now include eminent lawyer and jurist Elizabeth Evatt AC, actor Bruce Spence, former MLC Ann Symonds AM, former mayor of North Sydney Genia McCaffery, arts journalist Diana Simmonds, former Carr government arts advisor Brett Johnson, environmentalist Penelope Figgis AO, former editor of Look magazine Jill Sykes AM, and a significant number of Art Gallery Society members. Patron of the arts Jacob Grossbard, an Art Gallery Society member of more than 30 years’ standing, has filed a 40-page objection. It is a closely argued document that ranks alongside the above-mentioned professional submissions from the Chesterman-Andrews-Appleton-Donald group, from architect Andrew Andersons and from museum consultant Kylie Winkworth. Mr Grossbard raises the issue of land title, deconstructs the much-vaunted visitor figures, details multiple access and transport problems and examines viable alternatives and possible modifications. According to his observations, most of his fellow members are opposed to the project but have been discouraged from voicing their concerns. Another well-informed objection is from noted Sydney barrister Richard Cobden, who writes: “A feature of the AGNSW’s, and now the Government’s, pronouncements and propaganda about this project has been the use of repeated exaggeration, repeated falsehoods, and fabricated visual aids.” Cobden, a longstanding arts aficionado, pulls no punches in debunking the language of spin, saying that practically all the reasons given for supporting Sydney Modern “are erroneously based if not actually mendacious” and that statements from the Gallery are couched in “mendacious Newspeak”. Submissions in the other main category, from government, agencies and organisations, number 17 objections to 10 in support. 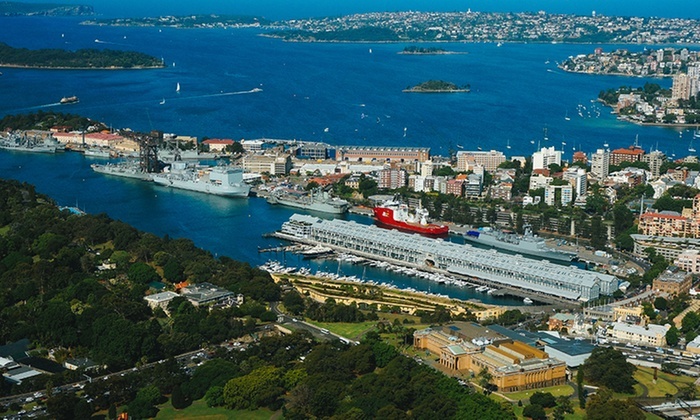 The objectors include four bodies corporate in the Woolloomooloo area adjacent to the proposed site (click on the link for an example). Raising serious concerns about glare, visual impact, heritage, access and construction management, they express a commonly-held view that the consultation process has been too rushed, and reserve their rights in relation to the project. Among the organisations supporting the Development Application, it pains me to say, is the Art Gallery Society. Curiously, one of the reasons it puts forward for backing Sydney Modern is “to make membership relevant to more people across NSW” – something the Society advanced, while I was running it, by actually holding events in Western Sydney and working with community-based organisations. Given that broadening the membership still appears to be a goal, you would think that the Society would be in favour of locating the extension in Parramatta, as many have advocated. Sydney Modern, with its access problems and lack of parking, does nothing to increase the likelihood that people will visit from outer Sydney or the regions frequently enough for joining to be worth their while. The submission in the name of the Society is signed by president Brian Ladd and executive director Ron Ramsey, two old chums from Newcastle, but judging by the evidence of Jacob Grossbard and others, their concurrence with Gallery management is far from having the unanimous support of members. Those who disagree with the Ladd-Ramsey position might like to note that the organisation’s Annual General Meeting will take place at the Gallery on Wednesday 21 March at 7.15pm. Premier Gladys Berejiklian’s Coalition Government has already promised $244 million towards construction but nothing for recurrent funding. Given the weight of informed opinion, the only credible course now open to the Premier and her Arts Minister Don Harwin is to put Sydney Modern on hold until after the March 2019 State election. This will give the incoming Government the chance to reconsider the project and give time for a thorough and open review answerable to Parliament (pictured above). Such a review must include the examination of alternatives in the context of developing a viable State-wide cultural plan. Since I wrote last week about concerns that entry fees could be imposed at the AGNSW to supplement the massively increased recurrent costs of running Sydney Modern, commentators on social media have expressed shock. One or two have voiced doubts that it could ever happen. I’m afraid it could. Governments and Treasury have tried to impose fees before. Premier Nick Greiner’s Coalition Government of 1988-1992 attempted to do so, with the support of Westfield shopping centre billionaire Frank Lowy who was then President of the Board of Trustees. Only the most determined campaign by director Edmund Capon and his supporters prevented the move. A second attempt was reportedly made in the late 1990s when Michael Egan was Treasurer in Bob Carr’s Labor government, but his Cabinet colleagues turned down the proposal. The Whiteley Studio is a good precedent. Entrance fees should be abolished at all major publicly funded museums, as a central plank of cultural policy. As for Sydney Modern – it’s time the business plan was published in full, so that there can be a thorough public review of its proposals (if they exist) for recurrent funding. If the business plan is as full of holes as the DA and the Environmental Impact Statement (EIS) have proved to be, then it would certainly leave the institution vulnerable to the imposition of entrance fees. That’s another compelling reason to put the whole project on hold. A new, five-minute, Government survey on Cultural Infrastructure was unaccountably released on 15 December – though some say it was intended to soften the anticipated impact of the Parliamentary Inquiry’s damning Interim Report three days later. As Government surveys go, it is pretty ordinary – are we surprised? – but if you look carefully, it does offer some new opportunities to defend and promote the Powerhouse. It starts by helpfully telling us what “Cultural Infrastructure” means, and the first few questions (1-5) are devoted to finding out what’s available in our local area, and our preferences. Uninspiring stuff, with no opportunities for comment until question 6 (an open question), asks what (Cultural Infrastructure) would we like to see in our local community? 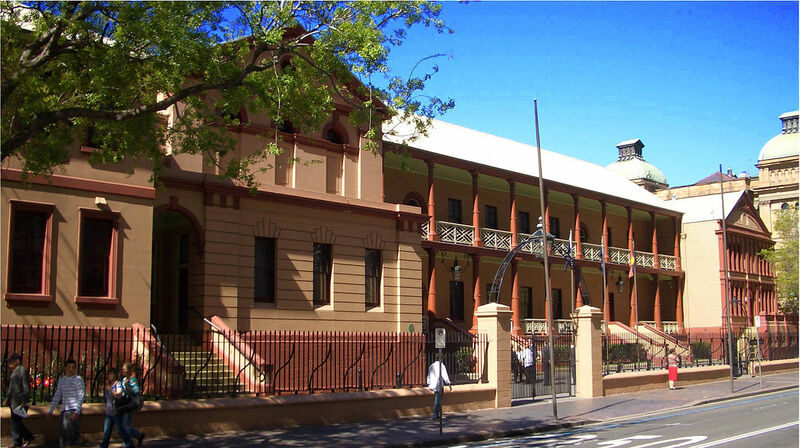 There’s space here to tell the Government EXACTLY what we want in Inner Sydney – our treasured Powerhouse, re- energised with the resources and funding it needs to flourish in Ultimo for the next 100 years. You’re offered a further chance to have your say at the end of question 7, which aims to find out what would help us to enjoy “cultural activity’ more. Again, for Powerhouse supporters, the answer’s obvious. We want a Government that is truly dedicated to culture and heritage rather than developer dollars: a Government prepared to respect and support the internationally acclaimed Powerhouse Museum, not sell off the site for yet more high-rise, and waste $1.5 billion on trying to move the (immovable) collection to a flood-prone site in the suburbs. As with previous surveys, if enough of us speak loudly enough, often enough, it could have some impact, so please take the five minutes needed to complete this one, and, above all, to HAVE YOUR SAY! For Museum specialists there is also another, ten-minute, survey (same link). The conceptual problem that has lead to a mediocre architectural solution by good architects goes to the idea of ‘Sydney Modern’. While the branding strategy for the project is clear, it also creates a clear separation between the ‘Art Gallery of New South Wales’ and ‘Sydney Modern’. Two apparent entities. In this case Sydney Modern could be anywhere – at Barangaroo, as Andrew Andersons proposes, or Parramatta, as Judith White suggests. I had thought the central argument was that the AGNSW wasn’t big enough for its collection – to properly carry out its function. This is a case of necessity. The amount of exhibition space and its quality absolutely needs improving. In this case what was needed was a further extension not a separate idea dislocated, conceptually and architecturally, from the gallery. Then the problem would be how this could be achieved and well integrated with the Vernon building. From the available renderings the present design for Sydney Modern doesn’t appear to respond to the gallery’s basic needs and it is from this that opposition sensibly arises. As it stands there is opposition from many, and conflicting positions, with all sorts of agendas that have little to do with improving the gallery’s ability show its collection. There is a good argument to make a large exhibition space/gallery at Parramatta as a unique facility, which could draw on the collections of the AGNSW, the Powerhouse Museum/MAAS, the Australian Museum and the MCA for innovative temporary exhibitions but that isn’t an argument to remove any facilities, in part or in whole, from the complex urban centre of Sydney. We are now entering into that phase of confusion, political compromise and lack of clear-sighted judgement that seems to impact so many Australian projects. Protect our major Sydney iconic Art Galleries and museums. Keep free admission to AGNSW as an important Australian Cultural symbol for Australians and tourists to the centre of our city on the harbour. World renown it is a beacon of global culture, free to share and enjoy. just spent a lovely few hours wandering AGNSW checking out artExpress (some amazing work, as usual) and “unpainting” (yawn) from the biennale. Loved The Lady and the Unicorn as did the dozens milling around her. The gallery has always been one of our family’s favourite places to visit – lazy, dirty train ride down, walk from central through Hyde Park, a quick peek into St M’s then a stroll under the figs to visit “old friends” as mum used to call the exhibits. I think the additions will be horrific and ruin a beautiful spot. Too big, too much – do we really need a jumble of buildings plonked there on that green grassy knoll providing all the ambience of Darling Harbour? Surely they could’ve come up with something better and why not an Australian architect? It will be a top spot ruined.